The BFA Dance program at Peabody prepares students to be at the forefront of dance innovation through performance, choreographic and critical historical and theoretical exploration. 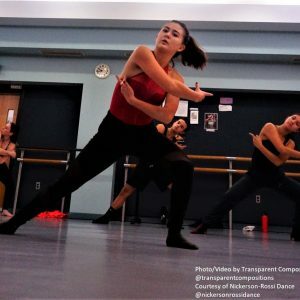 Studying dance at Johns Hopkins University, one of the world’s premier research institutions, gives students the opportunity to make connections between the study of dance, science, technology, and the humanities. 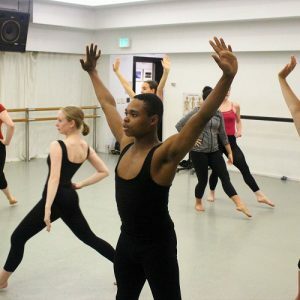 Students can take courses in Modern Dance and Ballet technique, somatic approaches to movement and choreography, perform in a pre-professional student dance company, and collaborate with world-renowned guest artists. Peabody graduates can pursue careers as performers, choreographers, teachers, researchers, and arts administrators. For more details about the Bachelor of Fine Arts degree, see Section 2-2 of the AY 2018-2019 Academic Catalog. NEW for 2019: lunch included! Dance Company: Students have an opportunity to perform in the pre-professional dance company showcasing original and repertory work by faculty and guest artists. The dance company performs in annual concerts and travels to festivals, conferences, and community residencies. Guest Artist Residency: Master choreographers and performers create original works and/or re-set existing works on students. Guest artists will also teach community master classes and offer lectures touching on the important role dance has played in shaping the course of an engaged civic life. Interdisciplinary Courses: Traditional dance technique and theory courses are brought into dialogue with methodologies and ideas from other disciplines. Students with interests in science, technology, and the humanities are encouraged to explore their interests holistically and produce innovative movement research. Apprenticeships and Internships: Pre-professional preparation at Peabody is designed to give students practical experience for success after graduation. Throughout the school year, under the direction of a faculty member, students are placed with professional dance companies, choreographers, dance studios, arts organizations and other community partners. Evaluations are given at the end of the apprenticeship or internship. Critical Dance Studies: Embodiment, gender, sexuality, race, class, migration, and globalization are central to the critical study of dance at Peabody. Dance is explored from an interdisciplinary perspective to immerse students in the critical study of movement, bodies, and society that accounts for historical and socio-cultural tensions on and off the stage. Capstone Dance Project: The Capstone Project gives students the opportunity to pursue independent, innovative, and interdisciplinary research that culminates with a presentation of a self-choreographed recital. *Please also include a portion of you speaking about your dance background- how long you have trained, where, what styles, etc. danah bella is the artistic director of d a n a h b e l l a DanceWorks, a modern dance company focused on reclaiming evocative movement as social practice. bella has performed and presented her work throughout the country. 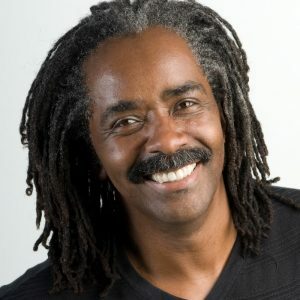 Ralph Glenmore is a former principal dancer with The Alvin Ailey American Dance Theater. He has performed in several Broadway productions, including A Chorus Line, Bob Fosse’s Dancin’, Reggae and Bubblin’ Brown Sugar. Michael Nickerson-Rossi, founder of Nickerson-Rossi Dance, is a dynamic dancer/choreographer/master teacher. Nationally, he has premiered work in San Diego, San Francisco, Salt Lake City, Tempe, Miami Beach, Palm Springs, Philadelphia, Massachusetts, Los Angeles, New York, and internationally, Belize and Italy. 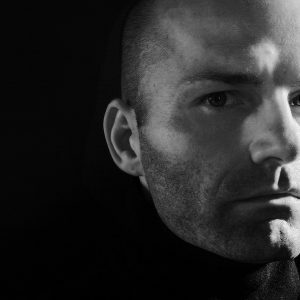 Florian Rouiller is a dance teacher, choreographer, and performer who has worked extensively across three continents. 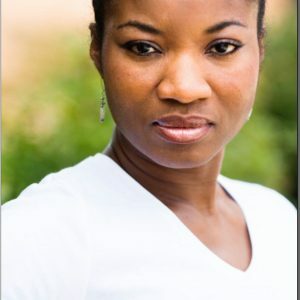 Rouiller has an MFA in Dance from the University of Maryland. Melissa Stafford studied ballet with Marcia Dale Weary and the faculty at the Central Pennsylvania Youth Ballet (CPYB), and received additional training at summer intensives including The Nutmeg Ballet Conservatory, Boston Ballet, and The Juilliard School. 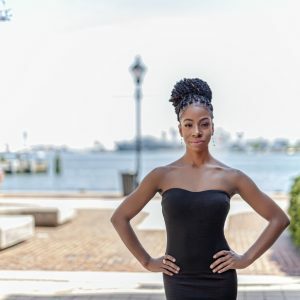 Kristen S. Stevenson studied with The Washington Ballet, the Peabody Preparatory, The Julliard School, The Dance Theater of Harlem, The Donetsk Ballet, and The Alvin Ailey American Dance Theater. jhon r. stronks began his dance training with Sue Sampson-Dalena at the Dance Studio of Fresno, studying jazz with Sampson-Dalena as well as ballet and hip hop. stronks continued his dance training and education at California State University, Fresno, and California State University, Long Beach. 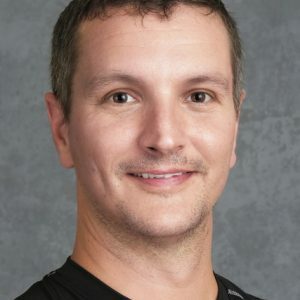 He holds a teaching certificate from the Teacher Training Institute in Atlanta, Georgia, specializing in outreach education and pedagogy for special populations. stronks’ choreography has been commissioned by the Houston Metropolitan Dance Center, Urban Souls Dance Company, Houston Black Dance Festival, South Dallas Dance Festival, Big Range Dance Festival, Mix Match Dance Festival, Core Performance Company, Highways Performance Space, and PROJECT:MOTION. He is the artistic director of jhon r. stronks|“there… in the sunlight,” a project heading for his independent choreography. As an instructor stronks strives to connect the practical elements of technique to the magic and humor of life and performance. Artistic director and founder of the New York City-based contemporary dance ensemble YY Dance Company, Yin Yue was the winner of the Hubbard Street Dance Chicago 2015 International Commissioning Project, the 2015 BalletX Choreographic Fellowship, and the Northwest Dance Project’s 5th Annual Pretty Creatives International Choreographic Competition in 2013. 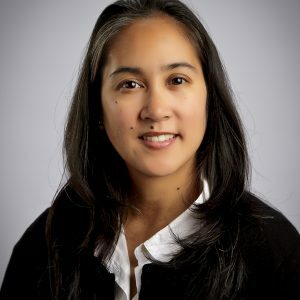 She has been commissioned to create new works by all three companies as well as others including Limon Dance Company, Bruce Wood Dance, New Dialect, Balletto Teatro di Torino in Italy, Backhausdance, and George Mason University. 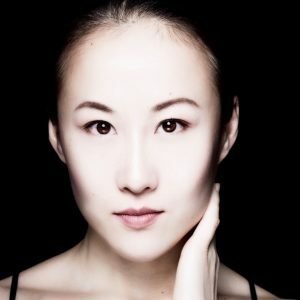 Born and raised in Shanghai, she trained rigorously in technically-demanding and highly-structured Chinese classical and folk dance, as well as classical ballet technique, earning her undergraduate degree at Shanghai Normal University and her MFA in Dance from NYU’s Tisch School of the Arts. 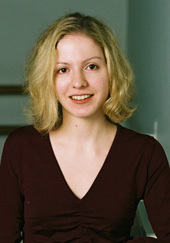 She is the creator of an innovative contemporary dance technique called FoCo (Folk-Contemporary). Click the link to receive an information packet about our dance program!